What Is an INDD File? 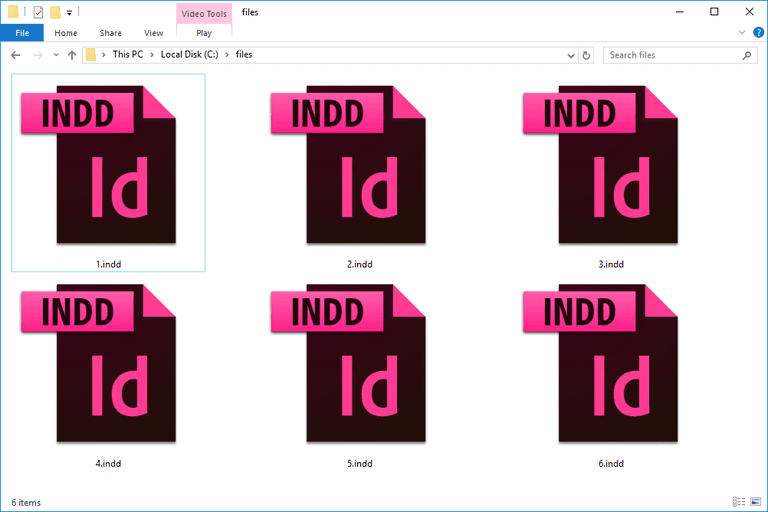 A file with the INDD file extension is an InDesign Document file that's most commonly created by and used in Adobe InDesign. INDD files store page content, formatting information, files, and more. InDesign uses INDD files when producing newspapers, books, brochures, and other professional layouts. Some InDesign Document files may use just three letters in the file extension, as .IND, but they're still in the same format. IDLK files are InDesign Lock files that are automatically generated when INDD files are being used in Adobe InDesign. INDT files are similar to INDD files but are meant to be Adobe InDesign Template files, which are used when you want to make multiple similarly formatted pages. Adobe InDesign is the primary software used to work with INDD files. However, you can also view an INDD file with Adobe InCopy and QuarkXPress (with the ID2Q plugin). Adobe InDesign supports not only INDD and INDT but also InDesign Book (INDB), QuarkXPress (QXD and QXT), InDesign CS3 Interchange (INX), and other InDesign file formats like INDP, INDL, and IDAP. You can also use a JOBOPTIONS file with InDesign. WeAllEdit is another INDD viewer that you can sign up for to view and make changes to an INDD file through their website. However, this INDD opener is only free during the trial period. Using an INDD viewer or editor from above will let you convert the INDD file to another format, but as you'll see below, some conversions require a bit more work. The most common file type to convert an INDD file to is PDF. Both Adobe InDesign and WeAllEdit can do that. Also within InDesign, under the File > Export... menu, is the option to export the INDD file to JPG, EPS, EPUB, SWF, FLA, HTML, XML, and IDML. You can choose which format to convert the INDD file to by changing the "Save as type" option. If you're converting INDD to JPG, you'll see that there are some custom options you can pick from like whether to export just a selection or the entire document. You can also change the image quality and resolution. See Adobe's Export to JPEG format guide for help understanding the options. You can also convert the INDD file to a Microsoft Word format like DOC or DOCX, but the formatting differences will likely make the result look a bit off. However, if you want to do this, you should first export the INDD to PDF (using InDesign) and then plug that PDF into a PDF to Word converter to finish the conversion. InDesign doesn't have a specific INDD to PPTX export option for using the document with PowerPoint. However, similar to what's explained above for how to use an INDD file with Word, start by exporting the INDD to PDF. Then, open the PDF file with Adobe Acrobat and use Acrobat's File > Save As Other... > Microsoft PowerPoint Presentation menu to save it as a PPTX file. If you need the PPTX file to be in a different MS PowerPoint format like PPT, you can use PowerPoint itself or a free document converter to convert the file. iXentric SaveBack converts INDD to IDML if you need to use the file in InDesign CS4 and newer. IDML files are ZIP-compressed Adobe InDesign Markup Language files that use XML files to represent the InDesign document. If you're on a Mac, an INDD file can be converted to PSD for use in Adobe Photoshop. However, you can't do this with InDesign or any of the other programs mentioned above. See How to Save InDesign Files as Layered Photoshop Files for information on a Mac script that can make this happen. You might be able to repair a corrupt INDD file with Stellar Phoenix InDesign Repair. It should help you recover any layers, text, objects, bookmarks, hyperlinks, and the like. Still Can't Open the File? If none of the INDD viewer software let you open the file you have, it's possible that it's in a different format and just looks like an INDD file. For example, PDD shares some of the same file extension letters but is an entirely different file format. You can't open this kind of file in an INDD opener and neither can you open an INDD file in a PDD program. Many other examples could be given but the idea is the same: make sure the file extension actually reads as "INDD" and not just something that looks similar or shares some of the same file extension letters. If you don't have an INDD file, research the real file extension for your file to learn more about its format and the program(s) that's capable of opening it. What's a DXF File and How Do You Open One? What's a DOCM File and How Do You Open One? What's an AST File and How Do You Open One?